This entry was posted on February 20, 2019 at 3:38 pm and is filed under Haiga, Winter. You can follow any responses to this entry through the RSS 2.0 feed. You can leave a response, or trackback from your own site. … but wearing snow. 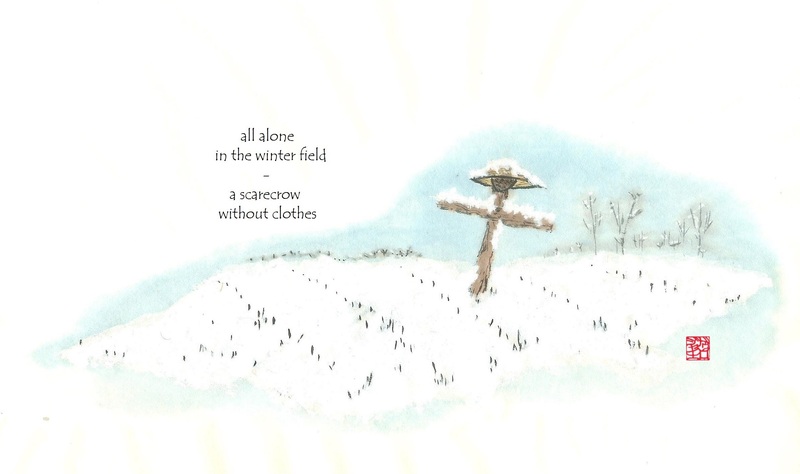 Beautiful work with nicely scarecrow-like font for the poem, too! Best to sign into WordPress before commenting, please. Save your details in the computer’s/phone’s memory? It’s good, though, that someone else has bothered to comment on this fine haiga.